The world’s largest sculpture is still being carved in the Black Hills of South Dakota using precision explosive devices. 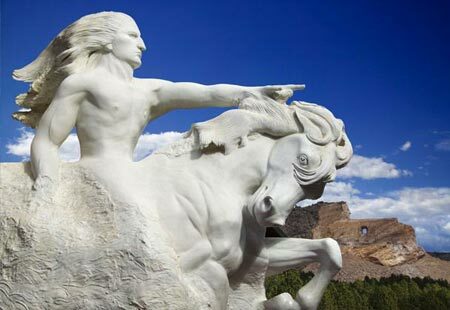 Sculptor Korczak Ziolkowski began the monument in 1948, after having worked on Mount Rushmore, as a way to honor the culture and heritage of Native Americans. When the monument is complete, it will be 641 feet wide and 563 feet high. Crazy Horse’s head alone will be 87 feet tall.